This budget level sub delivers the same articulate and tuneful bass that our subs are known for and yet provides enough HT bass thanks to its sealed design. The combination of servo and a sealed enclosure is what makes this sub deliver on both quality and quantity in bass. The quickguide for L12 can be found here. This model has a 120-240v switchable power. Price includes shipping to 48 US continental states only.The next step-up model is F12-300 for those with more budget. Shipping to other regions or countries should inquire us for actual cost. For overseas customer, L12 is small enough to ship via postal service. 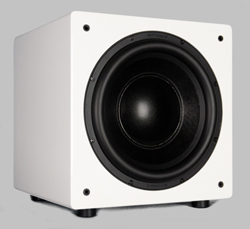 Please use contact page for a postal shipping quote.L12 is now available in gloss white paint finish. Black matte is on back order till early May. Looking for an affordable musical that can be also used for moderate home theatre use? L12 uses our proprietary servo design to gain low frequency clarity and articulation. 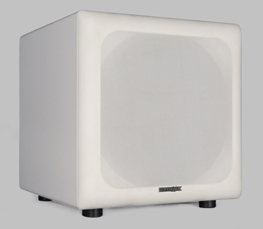 For home theatre use, L12 has a HT playback mode with rumble filter to limit less audible sub-sonic contents. While many of our competitors limit their best technology (such as servo) to their top level models, we wanted to make Direct Servo affordable, so we've held nothing back. 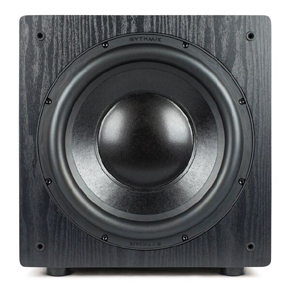 As a result, you get the tight and music bass you wouldn't normally expect from a subwoofer at this price range. 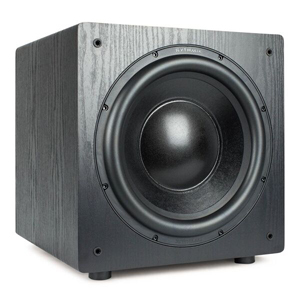 L12 is likely the least expensive servo subwoofer on the market.